Keep project specific notes of any length and detail. Set a separate currency symbol on a project-by-project basis or globally. Track the status of each project. 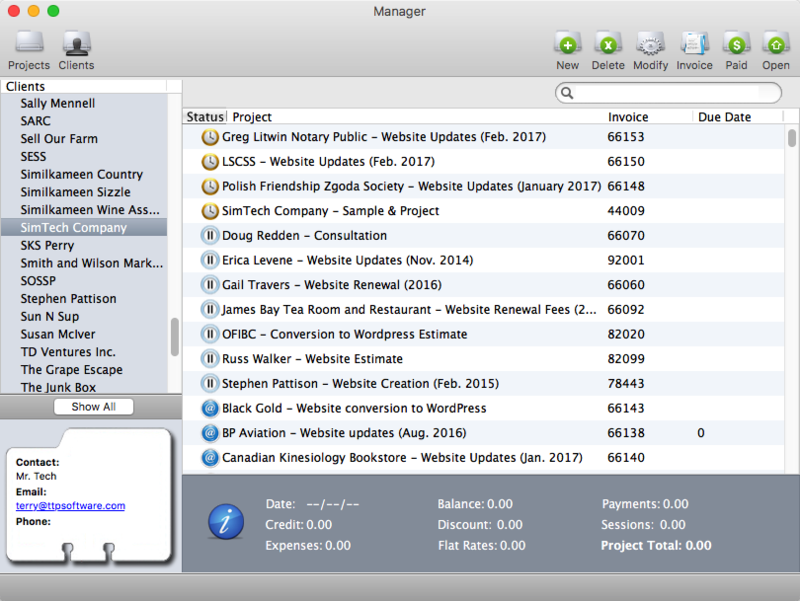 Use the Project Manager to add, delete, rename, merge, and store projects. Link documents, applications, folders, and web/email addresses to any project. Minimize project windows to a small, floating timer controller window. Export data in comma or tab separated format. 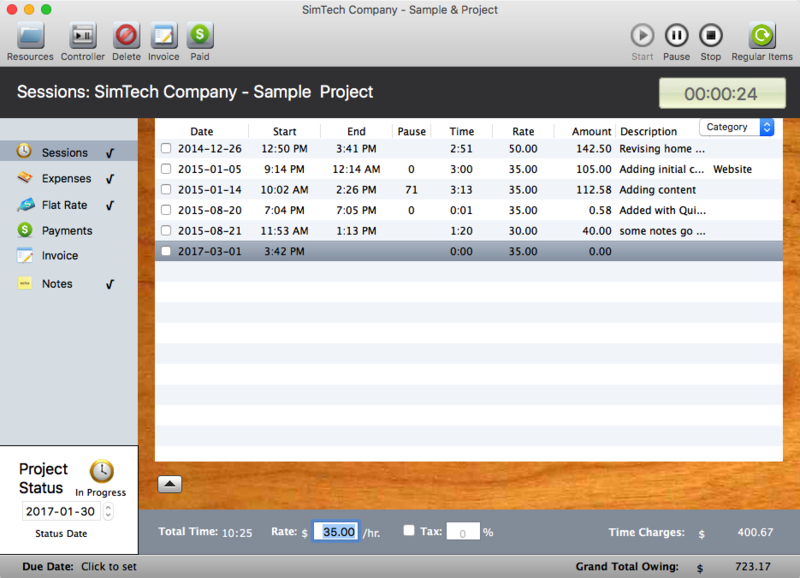 Merge data from team members into one project for billing.